Fig. 1. 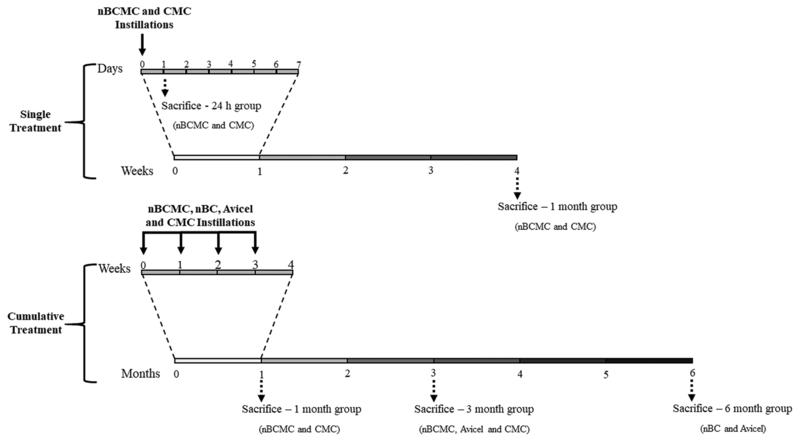 Scheme of intratracheally instillations of C57BL/6 mice with nBCMC, nBC, CMC and Avicel-plus® CM 2159 and respective group sacrifice/analysis time points.